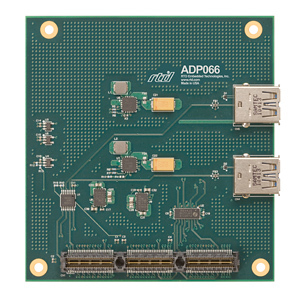 The ADP066-1 is a rugged dual-port USB 3.0 adapter module for the PCIe/104 Type 2 bus. This breakout board gives users access to the USB 3.0 connections on compatible host modules. 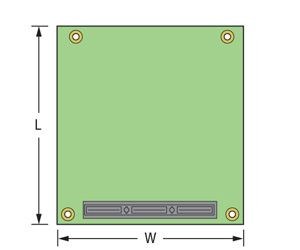 The ADP066 is backwards compatible with USB 2.0, permitting breakout of USB ports on the host’s PCIe/104 Type 2 bus, avoiding bandwidth starvation of the host’s primary USB I/O connections.